Sparco Pedal Set - Settanta UNIVERSAL - MiataRoadster - Stay tuned with MiataRoadster! Sparco Settanta pedal set is designed to coordinate the Settanta and Settantra R shift knobs, and hand brake cover. It features contrasting vertical indented lines and perforations for added grip. 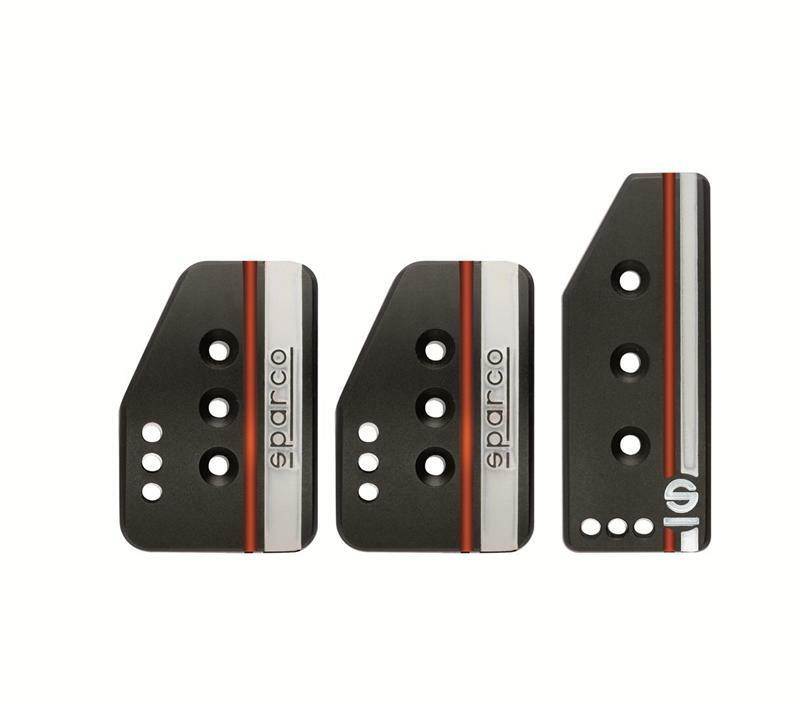 Each pedal is accented with an engraved Sparco logos. Available in four pedal configurations: clutch, brake and short accelerator pedal; brake and short accelerator pedal; clutch, brake and long accelerator pedal; and brake and long accelerator pedal. Also available in two color ways: black with red and white accents or silver with piano black and white accents.